There are at least two common denominators when you look at a successful mining company: rocks and brains. While there are a whole host of variables which go into whether a mining company ends up a superstar or yesterday’s hopeless punt, a mining company needs to have its foot on good rocks to explore. The company we’re re-introducing you today is showing all the signs of having good rocks – and better yet it’s drilling right now. 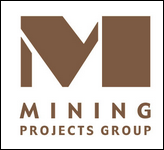 In fact, Mining Projects Group (ASX:MPJ) has a strike length of 40km, which is looking increasingly like holding significant nickel mineralisation. Now, this is still early stage exploration work, and naturally caution should be applied on that basis, with professional advice to be sought if you are considering this company as an investment. Ongoing exploration as part of its current campaign has discovered new points of interest and initially positive grades. In fact recent drilling highlights include hitting nickel mineralisation in two holes drilled 600m apart –this was in a previously untested ultramafic sequence. 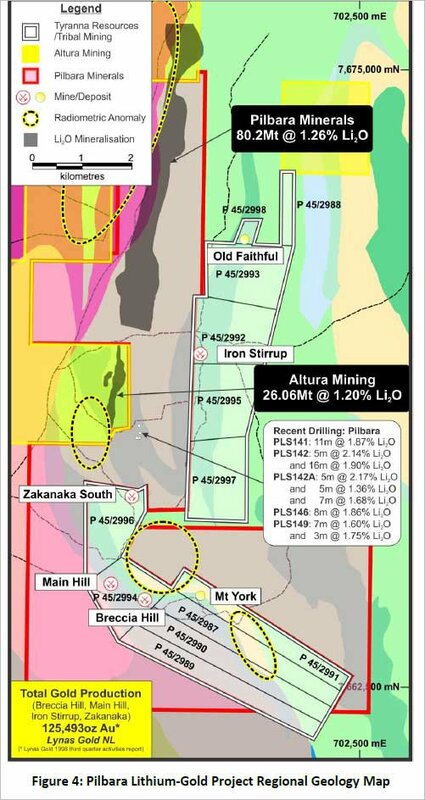 Plus, there is potential for significant new discovery in a previously untested ultramafic contact at the Talc Lake prospect, with readings of 7% nickel grades from a portable XRF. With the rocks covered off on, this company has set about building a brain’s trust which could very well be the envy of most nickel explorers on the market. MPJ has expertise from the WA mining sector, from the CSIRO, and drafted in a duo who were key to Western Areas’ success and the discovery of the company making Nova and Bollinger breakthroughs for Sirius Resources. With rocks and brains and not rocks for brains, this company has been quietly been going about its business, but could be about to make a lot more noise. Roe Hills is part of an MPJ triumvirate of projects on the table, with Fraser Range East and West also on the menu. 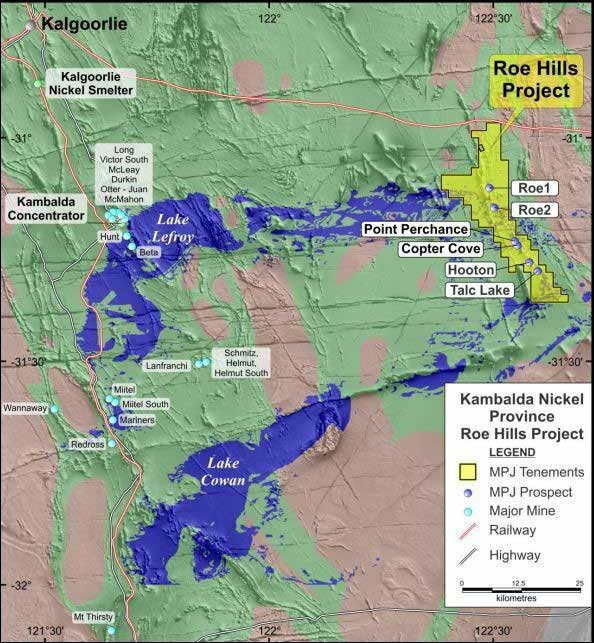 However, for now MPJ is focusing on the Roe Hills Project, which is within a stone’s throw from the famous Kambalda nickel province near Kalgoorlie in Western Australia. MPJ is currently on site with a drill rig, hitting multiple targets as you read this – any big finds have the potential to re-rate this company in the near term. Despite being within cooee of Kambalda, the project has pretty much gone underexplored in the past, and there’s a simple reason for it. It turns out that the ultramafic cycles which are the host rocks to nickel mineralisation are under ‘transported cover’, which means that they can be difficult to find. Until the modern day, that is. Previous exploration simply didn’t find what was under the cover, but modern techniques can. This means MPJ has been able to sneak under the radar and secure a promising nickel project close to a world-class nickel range, with all the mining infrastructure the region provides for peanuts. 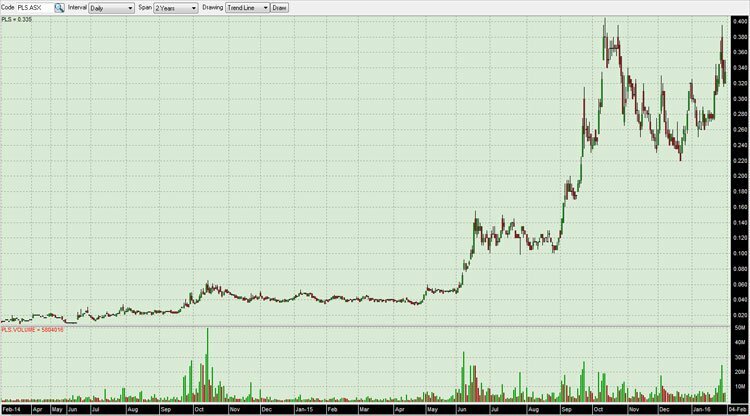 With the share price of this micro-cap currently riding at 0.6 cents and a market cap of around $11 million (at the time of writing), the upside is pretty big here. However – success is certainly no guarantee – this is a small explorer – it’s recommended you do your own research and consider your personal circumstances before thinking about investing. The above is an electromagnetic map showing the potential 40km strike length MPJ is currently testing, with the red parts of particular interest to the company. Since we covered off on MPJ last in the article Nickel Drilling Right Now by MPJ: Multiple Targets to be Struck MPJ has been away and drilling at Roe Hills and firming up extra targets for follow-up, including previously untested points of interest. MPJ started drilling the project in late-October, but by early November had already firmed up new targets. In conjunction with the early drilling, MPJ had been quietly conducting geophysical surveys at the project. These surveys ended up identifying multiple new conductors which weren’t even included before MPJ started drilling. It effectively means that in addition to the 40km strike, MPJ will have even more ultramafic sequences to test with the drill bit. MPJ told the market that it was preparing sites from the newly identified sequence, with three out of six sites pegged for drilling. If MPJ end up drilling targets here, it would be the first time, perhaps in human history, that the sequence has been drilled. Ten days into November, and MPJ had some good news for its investors. The first drill hole drilled at Lake Talc, the southern-most prospect of the Roe Hills project, has hit mineralisation. It completed the hole down to 395.2m downhole, hitting mineralised nickel sulphides between 190m and 260m, with spot readings done on site recording grades of up to 3%. You can see a core from the drilling below. But that 3% grade was a spot reading only, and results still need to be sent back to the lab to be properly assayed. So it goes without saying that it’s recommended that investors should wait for the assays come back until ascribing some sort of firm value to this drilling event. The early indications show promise, and the company plans to bring in down hole electromagnetic equipment to follow-up on the drilling. This essentially means that it’s taking data from inside the hole to get a better read on rocks next to the hole. It’s a more effective method than trying to take data from the surface, and as it turns out, it worked for MPJ. That survey ended up finding a new off-hole conductor for MPJ to follow up on. It told its shareholders at the time that it would drill the new target within a week. At this stage that drill result hasn’t been returned, meaning that this could be something to look forward to in the coming weeks. At the back end of November, MPJ drilled two holes into a previously untested ultramafic sequence at Talc Lake, looking to see whether red spots on a map equated to nickel. It drilled two holes 600m apart, and hit nickel mineralisation in both. There’s a lot of work to be done yet, but the fact that mineralisation was hit in both could suggest there’s at least 600m of continual mineralisation there. One hole hit mineralised intervals with spot grades of up to 1%, but the other hit grades of up to a whopping 7%. Again, those are spot readings and need to be sent off to the lab before coming back as assays. The holes were drilled as an offset to a historic hole which returned 1m @ 3.53% Ni, including 0.5m @ 6.15% Ni. So already MPJ knew it was on a good wicket. Again, the game plan here is to conduct more downhole electromagnetic surveys to try and figure out whether the new zones of mineralisation can possibly be extended to other areas not otherwise identified. We said before that a company needs at least two things to succeed: rocks and brains. It’s important to note that these should not be mixed up and read as rocks for brains. Luckily, in this regard MPJ is punching well above its weight and has some of the finest minds in the nickel game at its disposal, getting behind the data and geological models to pinpoint where to drill to maximise shareholder value. The first cab off the rank is technical director Neil Hutchison . He has 20 years of experience in the mining game and was formerly the superintendent of the Cosmos Nickel team. He also led Poseidon Nickel’s hunt at Mt Windarra, leading to a new greenfield development named Cerberus. Before joining the MPJ team, he was also a geologist at Jubilee Mines. Heading the geology department at Jubilee was Steve Vallance , who is now MPJ’s technical manager. He has 25 years of experience in the game, having held senior roles with Xstrata, the aforementioned Jubilee Mines, Lion Ore/Forrestania Gold, Western Mining Corporation, Energia Minerals, and Australian Consolidated Minerals. It reads as a list of some of the more noteworthy mineral explorers in Western Australia, and with a quarter of a century of experience under his belt you can bet Vallance picked up some tricks along the way. Meanwhile, Sarah Dowling brings world class geoscientific rigour to the team, with her experience working with the CSIRO no less on helping define and develop the geological models made available to mining companies in WA which led to several nickel discoveries. In many senses, her work has already underpinned several nickel discoveries and now she’s with MPJ. Rounding out the quartet is Dr Nigel Brand , a geochemist with 24 years of experience in the mining industry. During his time he worked with WMC Resources (11 years), Anglo American (5 years) and more recently with Geochemical Services (8 years). For its nickel hunt, MPJ has also drafted in a crack duo in the guise of Bill Amann and Adrian Black, both from consultancy Newexco. 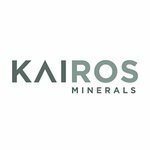 If that name sounds familiar to you, well done, you’ve been watching the WA minerals space for a while. The award-winning consultancy was partially responsible for the discovery of the Spotted Quoll and Flying Fox nickel discoveries for Western Areas. In fact, the consultancy won an award for it. Better yet, it played an early role in the discovery of the Nova and Bollinger discoveries for Sirius Resources in the Fraser Range. Those nickel discoveries, it would be fair to say, put somewhat of a rocket under the share price of Sirius. Its shares went from 5c to $5 in the within the space of a year back in 2012, and was taken over for $1.8 billion recently. Sirius is a demonstration of what can happen in the case of nickel exploration success. In any case, as this profile on Messrs Amann and Black demonstrates , they have but one regret about their time at Sirius. As if having a world-class internal nickel team and crack consultants wasn’t enough, MPJ has decided to beef up the brain’s trust even further by adding the services of Dr Robin Hill. 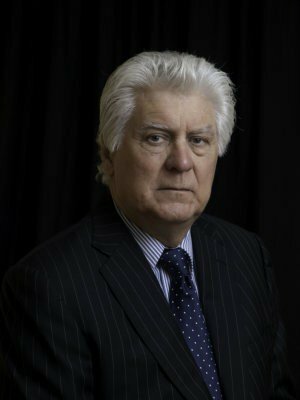 He’s the man who led the CSIRO’s magmatic ore deposits group for more than 30 years, helping establish the geological models which led to a whole host of nickel discoveries over the last 20-odd years in WA. Along with Dowling, Hill almost literally wrote the book on nickel exploration in WA. We at The Next Small Cap don’t actually know if there’s a book, but if there were we’re willing to wager that Dr Hill would be gracing the dust-jacket. He’s taking a combination of cash and shares in exchange for his time, and he says the project has many similarities to several of the world-class Komatiite massive nickel sulphide deposits in WA. It is pretty unlikely that MPJ would have been able to secure the services of its much-vaunted brains trust with cash alone. It simply would have cost too much money and it would have had to have gone into debt to finance the ongoing wages of the team – and that’s not a good situation to be in for an early stage exploration company. Instead, it’s made a point of issuing its team shares, effectively incentivising them to make company-making discoveries. The entire technical team have taken packages which include a combination of cash and shares. The cash simply keeps up their mortgage repayments, but the shares is where the big money potentially lies. If it were simply a salary job, the team would turn up and do their job. However, by giving them a direct chance to share in the upside in a discovery, they have a personal reason to care about the success of the company beyond the professionalism they bring to the role. It’s an approach we like to see here at The Next Small Cap , as it both incentivises the technical team and allows the company to keep cash. That cash can then be used on the important things, like drilling and all the things which actually lead to shareholder wealth rather than cash for directors’ boats. We said at the start of this article that a company needs at least two things to succeed: rocks and brains. MPJ has been on our radar for a while now, but its start during the latest round of drilling leads us to think at this early stage that it has the rocks under its feet. It’s only a matter of time that the rock is chiselled out to hopefully find something great, in our humble opinion. MPJ has also put together a brain’s trust which must be the envy of a number of nickel chasers out there. It’s doing everything right for now, and are worth watching for a while yet.